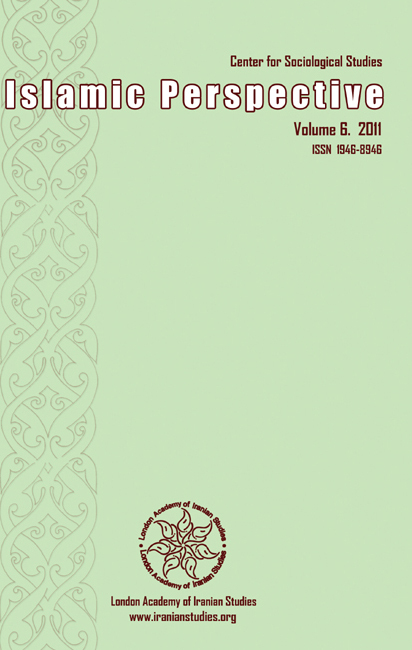 The Journal of Islamic Perspective published by the London Academy of Iranian Studies (LAIS) is a peer reviewed Journal of the Center for Humanities and Sociological Studies, affiliated to the London Academy of Iranian Studies (LAIS). This Journal aims to create a dialogue between intellectuals, thinkers and writers from the Islamic World and academics, intellectuals, thinkers and writers from other parts of the Globe. Issues in the context of Culture, Islamic Thoughts & Civilizations, and other relevant areas of social sciences, humanities and cultural studies are of interest and we hope to create a global platform to deepen and develop these issues in the frame of a Critical Perspective. Our motto is homo sum; humani nihil a me alienum puto. Contributions to Islamic Perspective do not necessarily reflect the views of the editorial board or the Center for Humanities and Sociological Studies.